You are probably well aware of the life cycle of most frogs. They lay their eggs in water and when the tadpoles hatch they are on their own with no parental intervention. The lucky few will develop through this larval stage in to frogs. 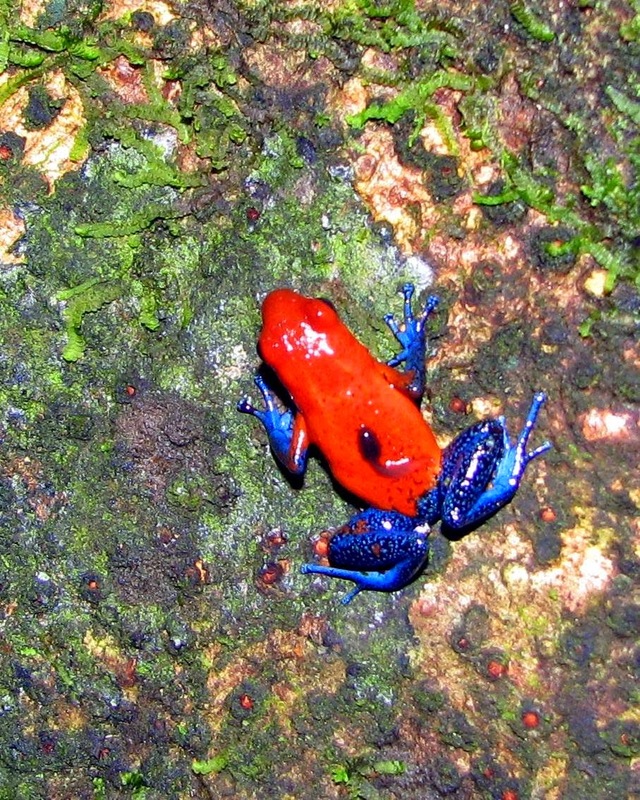 Yet there are a few South American species, such as the Mimic poison frog (above) which do things a little differently. They carry their tadpoles about on their backs.